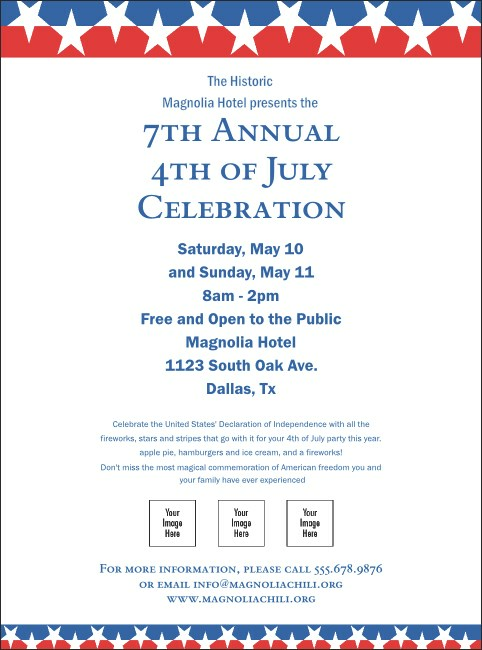 A patriotic themed flyer with stars and stripes set in the background which is great for political and 4th of July events. Fill in the easy template below with your event details and we'll send them your way! This flyer is approximately 7.49" X 11.46".